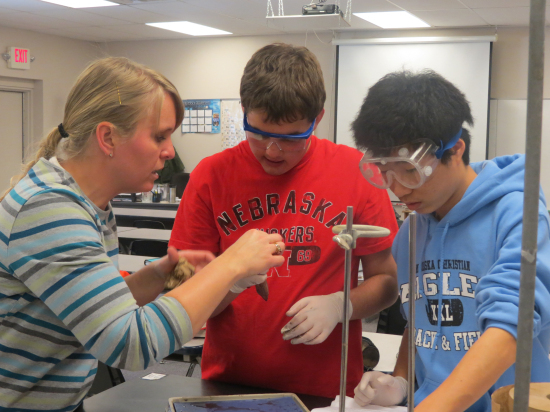 Nebraska Christian Schools (NCS) is a K-12, non-denominational, private, Christian school. Our students represent a variety of denominations, and they are taught a biblically integrated, rigorous college prep curriculum. All students attend Bible class each day and chapel once a week. Dorms are available for high school students. NCS is accredited by the Nebraska Department of Education and is an ACSI (Association of Christian Schools International) member school. NCS is also a member of the Nebraska School Activities Association and the Goldenrod Conference. NCS admits students irrespective of race, color, and national or ethnic origin. NCS is located on a 27-acre campus one mile outside of the city limits of Central City, Nebraska (population 2,900), 22 miles east of Grand Island, Nebraska (population 49,000), and 110 miles west of Omaha, Nebraska (population 415,000).